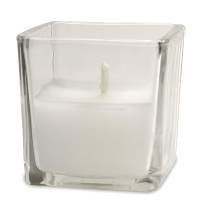 These votive candles are poured right into the votive cup so you get the candle and holder at a great price. The scented votive candles will burn for approximately 15 hours. 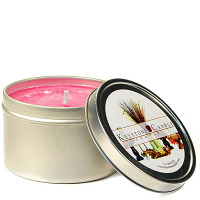 Our soy candles come in a lot of bold colors and amazing fragrances. 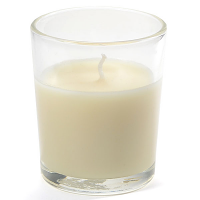 We also have an unscented soy votive in the glass cup for those times when you do not want any fragrance. 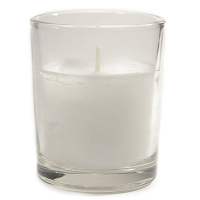 These soy votives make beautiful accents surrounding large candles used as centerpieces. You can also use these around the bathtub or hot tub when you need some time to relax and unwind. 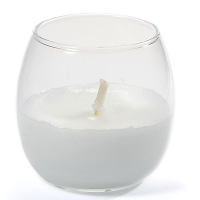 We also have a selection of unscented paraffin candles poured into glass cups. These are perfect to use in restaurants, hotels, for events, or in your home. The candles are made here in the U.S.A.